Family television, to a certain extent, has an educational responsibility, prompting debate between generations on and off screen through the numerous hypotheticals of storytelling. Exploring different narratives can serve as a safe way to bring up controversy and taboo, but walking the line between education and escapism is tricky. In my opinion, this is the shortcoming of long-running soaps which can run out of ideas, pack too many arcs into one character or exaggerate storylines for shock factor. This concept is far better demonstrated in more limited series, with One Day At A Time running for three seasons so far, and Call The Midwife having completed Series 8 this year. These shows are well-established and loved amongst viewers and critics alike, garnering high scores on Rotten Tomatoes. Despite their somewhat formulaic approach to addressing different issues every episode, the engineered conversations don’t shatter the personalities crafted by the writers. In establishing this strategy from their inception, the repertoire between audience and the characters was built simultaneously to the driving principles, so the two are intrinsically linked. As in real life, these characters shouldn’t be defined by facets of their identity or their traumas, nor should these parts of their daily existence be ignored. Realism aids this careful dichotomy in both shows, with authenticity required to construct these distinct identities. Call the Midwife’s origins can be easily traced with the best-selling book by Jennifer Worth acting as the springboard for the show, translated into the first series and a half, and her eloquent narrative framing the episodes through Vanessa Redgrave. We follow Jenny as she joins Nonnatus House, a nunnery where the inhabitants serve their East London community as midwives. The sparkling ensemble of nurses and nuns includes national treasure Miranda Hart as Chummy and Judy Parfitt’s eloquent Sister Monica Joan. With Worth’s blessing on the first scripts, this period piece acts as a loving reconstruction of a home as well as an important institution. One Day at a Time on the other hand, is a remake of the eponymous 1975 sitcom, produced by original creator Norman Lear. It follows the entertaining antics of the Cuban-American Alvarez family: nurse Penelope, her flamboyant mother Lydia and her kids, Elena and Alex. The woman behind this Hispanic reimagining is Gloria Calderón Kellet who uses her experiences to inform decisions about the show. For instance, in the opening credits, not only can you see the childhood photos of cast members, but in an old quinces, you can spot the real Lydia Riera, Gloria’s mother and the inspiration to Rita Moreno’s iconic character.. Even the Alvarez’ landlord Schneider, whose privilege is often the punchline, has a story to tell about his sobriety. In Season 3, when his emotionally abusive father returns, he relapses, leading to a confrontation with Penelope. If you watched this scene and wondered where the inspiration for these lines about addiction came from, you wouldn’t have to look far. 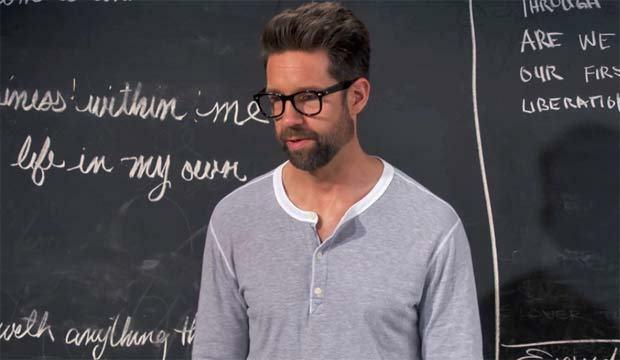 Actor Todd Grinnell is 17 years sober and visited the writers’ room before the episode to talk about his past experiences. Trixie’s storyline in Call the Midwife details a sobriety journey from even earlier stages, starting with the realisation she has a problem and secretly joining a support group. As she details how her father never admitted to his alcoholism, the show holds up a lens to the irresponsible nature of British drinking culture, where a third of men and 17% of women are classed as hazardous drinkers by the NHS. Both characters maintain a high-powered façade, so showing how subtler warning signs can manifest and how to deal with them is greatly beneficial for viewers. Highlighting these invisible struggles, “when the disease is doing push-ups” is done sensitively and realistically, while portraying how difficult everyday abstinence can be e.g. the running jokes about the Cuban love of rum, Trixie turning down nightcaps or celebratory drinks after a birth. Another aspect of mental health that One Day at a Time covers extensively is dealing with depression and anxiety, told through the main character Penelope Alvarez. In the pilot, she starts her anti-depressants and in Season 2’s ‘Hello Penelope’ when her life is in order, she tries to go without them (she can’t). In Season 3’s ‘Anxiety’ she details her attacks in group therapy and realises she can’t hide her condition from her kids. Breaking the taboo that exists within her Cuban culture, and truly accepting that her struggle is not as a sign of weakness was empowering to watch. Shortly after, I shared this episode with my mother, helping her talk about her own struggles, like Penelope with Elena and Alex, and making me feel more comfortable to tell her exactly how I’m feeling on a bad day. 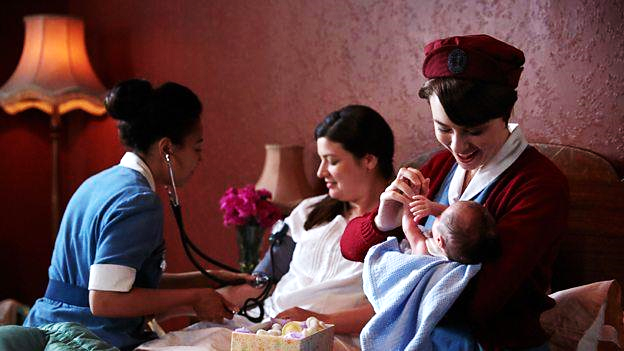 With the shifts in attitudes and treatment towards depression in the 20th century, Call the Midwife is known for its empathetic portrayal of the psychological issues surrounding pregnancy. Throughout, it reinforces the validity of the 15% of mothers who encounter mood disorders, those who feel out of place while their husbands celebrate, and shows how, with support, these woman can adjust to motherhood. Naturally, Call the Midwife also comes with understanding some basics about childbirth, but as science communication experts have picked up, it goes to great lengths to ensure accuracy. Terri Coates, the lecturer who originally lamented the lack of public awareness about the field and inspired Jennifer Worth to write her memoirs is now the consultant that informs the show. Her attention to detail meant an early episode about a breech birth (when babies are born bottom first instead of head first) has been recommended for training obstetricians to demonstrate how these cases present, and even the show as a whole is recommended to show how to talk to a labouring mother. In more public circles, the wide viewership gets the country searching, with hundreds of thousands of hits on the NHS page about diphtheria during transmission of one episode (myself among the searchers) , a significant increase in student applications to midwifery courses the year after the show aired and recently, showing a case of sickle cell anaemia led to more sign-ups for blood donation. While I take my knowledge as a biomedical scientist for granted, it was great to have a segue for fun facts. Just last Christmas, a main character passed away from septicaemia, a condition Heidi Thomas only just managed to survive. Though heart-breaking for viewers at such a festive time, it drew attention to this medical complication with the NHS using poster campaigns for spotting the signs, putting a similar case into the public consciousness could help patients and family stay alert. Despite this hard-hitting subject matter, year after year, Call the Midwife is subjected to the same criticism about it being “cosy”, a rose-tinted glorification of the past. Though the uniforms may be more colourful than the grey originals and plenty of light-hearted scenes, the show has cleverly carried on by continuing to give viewers a glimpse into healthcare within deprived circumstances. While other period dramas like Netflix’s The Crown depict the distinct opulence of monarchy in this era, Poplar is a microcosm of the hundreds of similar communities, far more abundant within Britain. It follows how this majority are left to deal with the looming threat of war, the ever changing weather (see: The Big Freeze of 1962-63) and outbreaks of disease. Now taken for granted by some, it serves as a reminder of the ethics at the core of the NHS and globally (according to an LA times critic) as “a timely valentine to socialised medicine”. Though the BBC were called out for not providing helpline information, this season exemplified its social education through emotion, portraying several cases of backstreet abortion complications. It may be considered lighter because its female focus, but daring exploration of painful topic like this from religious and non-religious characters is radical in its depiction, leaving its audience to form their own conclusions. Though the Alvarez family in One Day at a Time don’t live in quite the same conditions, money is still tight, in season 3 it’s revealed that despite economic pressures and soaring property prices, Schneider hasn’t raised their rent since they moved in, meaning they can still afford their apartment. There are glimpses of financial struggle when Penelope navigates the bureaucratic system for veterans insurance coverage. Though notably never mentioning the President by name, the precarious political climate is addressed. In season 1, Carmen starts living in Elena’s room after her parents are deported, prompting a frank conversation about immigration, one that has prompted a reboot of the 90s show Party of Five, instead of a drunk driver killing the parents, the reimagining will follow the children left alone after their parents are deported to Mexico. I could continue to wax lyrical about the beautiful aspects of both shows: the elegance of eccentric ageing in Lydia and Sister Monica Joan, the respect given to deep faith in God and simultaneous representation of being religious and scientific without judgement, Lucille’s comfort within her West Indian community, how great Elena’s coming out storyline was or how the show helped Isabella Gomez realise her white-passing privilege, or how well Call the Midwife charted out the thalidomide crisis, their careful exposure of abusive behaviours etc. 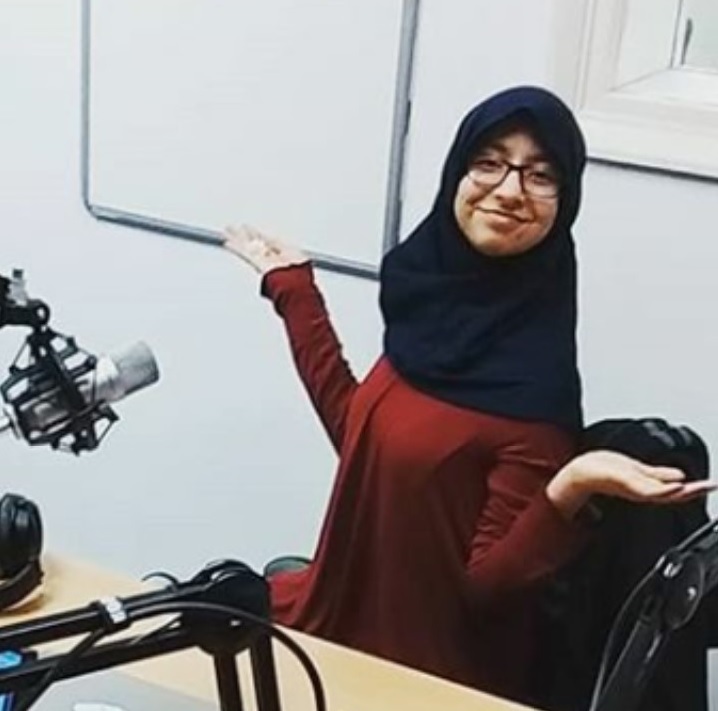 I also admit to their imperfections, for instance, the lack of probing around the pro-military, pro-American stance of One Day At A Time with Penelope’s service, or the disappearance of Patsy and Delia from Call the Midwife, and once again, I’m still waiting for Muslim representation but nonetheless they have my highest recommendation. Both bear the hallmarks of their genres: the period drama is still comforting and nostalgic, the sitcom still laugh-out-loud funny with iconic running gags and one-liners, but this enhances rather than hinders their ability to speak to audiences about what we really should be talking about.